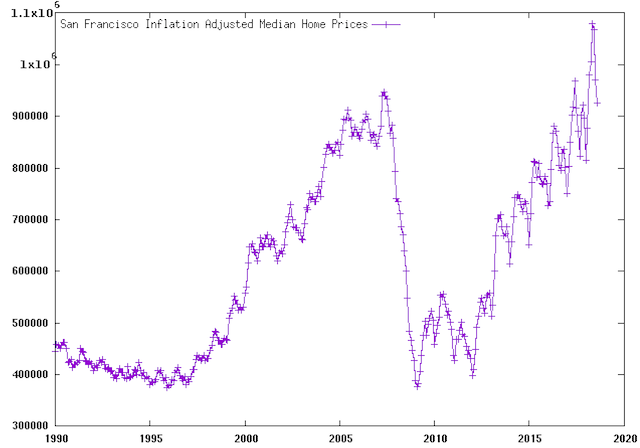 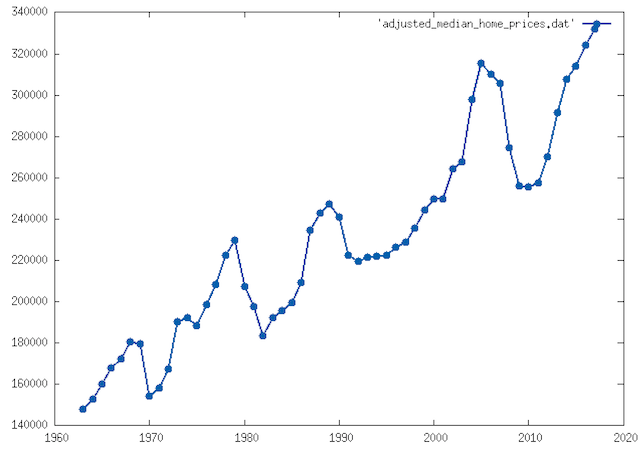 Here's a quick graph showing the median home prices for the entire USA for the last 55 years, based on this data source. 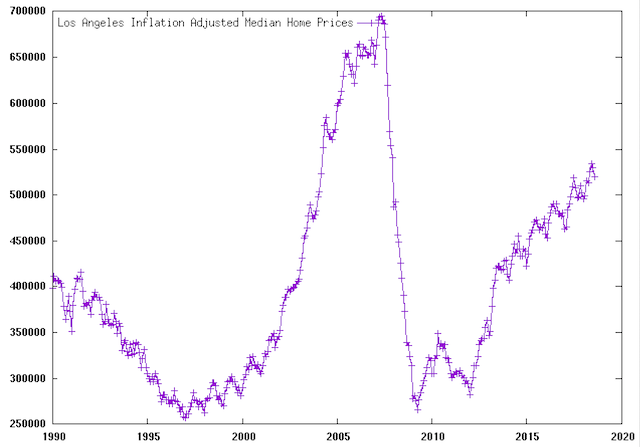 It is adjusted for inflation using the CPI inflation calculator. 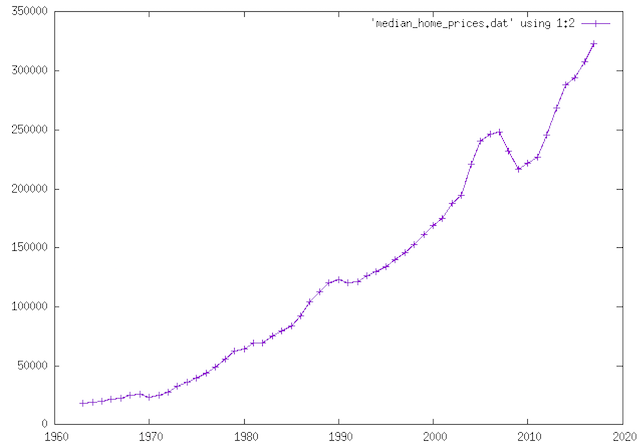 This graph is adjusted for inflation.